A couple of days ago, I told y’all about the start of Cannon’s and my homeschool year. We are working hard and doing well. Within that post, I expressed that this year I really want to push him. Help him to break down walls within himself and push the limits of what he can do. In keeping with that, I started thinking about other opportunities and experiences that I could expose him to……outside of our home. And, as often as possible, with “neuro-typical” kids so that he could really work on his socially appropriate behavior and social skills. Last year, we took him out of everything to allow him time to cope with the changes in his body after the surgery. I will always believe that was the right decision and that it allowed him time to heal physically as well as emotionally … and the chance to eliminate stressful situations that could compound how badly his body was already feeling. But this year, he is back in the AWANA program at our church. Now, in the Sparks class where they are in more control of how hard they work to memorize scripture and meet the requirements for badges and other earn-able pieces of their club uniform. The “work” is split into sections. Usually 4 sections per uniform piece. I heard from the get go that if he did 2 sections a week that he would finish the book given to him for hopeful completion during the school year. SO, I made that our goal. We have a little dry erase board on the fridge where I write the verses each week and can refer to them multiple times a day to help him memorize, master, and review. After a few weeks, I realized he could do more. So, we learned an extra section for a couple of weeks. And then, he surprised me by wanting more! It used to be like pulling teeth to get him to memorize one verse a week in the previous Cubbies class!!!! And even the first couple of weeks of Sparks. But then came 3 weeks where he has memorized 4 sections! And this past week, he broke that record with 8! I am amazed! And so, so proud!!! To have a child with a thirst for memorizing God’s word is definitely this mother’s dream! Story time and game time during club have their challenges but we have established a routine and can usually make full to partial participation happen. And his leaders in all areas are so incredibly understanding and supportive. He is shown so much love and respect at our beloved church and AWANA program. We are blessed! In addition to AWANA, we put him in a program through the United Way in our area. It is called the Young Athlete Program (YAP) and is the precursor to the Special Olympics. We meet once a week and do exercise type activities in a multi-age, multi-disability setting. We tried 3 classes last year and it was a major crash and burn. ALL HE DID WAS SCREAM LIKE WE WERE KILLING HIM! So, we pulled the plug and retreated back home. They did a summer session, though and I decided to ease him back in that way. There were generally less people in attendance due to the fact that it was summer and many people were traveling……and that worked tremendously in our favor. Cannon was really and truly able to ease into the routine and modifications could easily be made to the activities so that he could still participate in some way, shape, or form. We attended most all of the classes. And are currently going to the weekly fall session classes. He is making GREAT strides and doing better all the time. It is a very slow progression but that is ok. 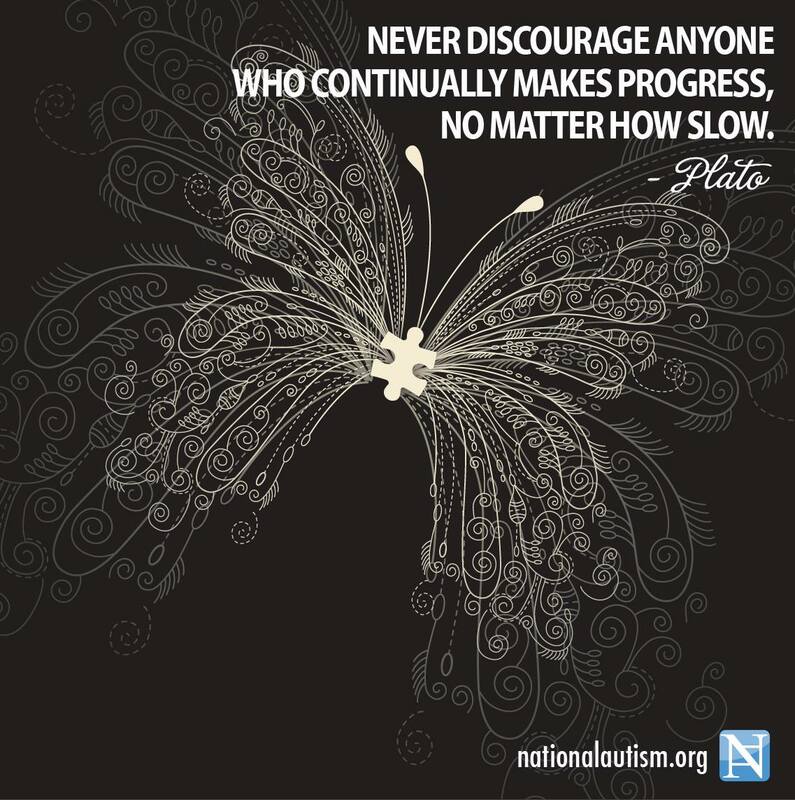 I recently found this quote of Plato’s……. And that is definitely something I am striving to remember now. Now, for the tough part. So, he goes to AWANA. A Christian club environment with neuro-typical peers. YAP…..an active opportunity with special needs peers. And what I really, really wanted was to get him in an ACADEMIC environment with neuro-typical peers. And I was very much wanting to connect with other homeschool moms and kids. Hoping that Cannon maybe just maybe could find a friend. We have plenty of friends with kids. But no one that Cannon plays with regularly and/or really talks to, shares common interests, or enjoys spending time with. And I desperately, want that for him. I have always thought that his incredible brain is such a gift and I just wonder if he can’t use his intellect to connect with other kids his age and break down some walls for him socially. I just know its possible. So, when I met someone who told me about a new Christian homeschool association that was starting up in our small, rural area….. I was thrilled! Events, parties, field trips, and lots and lots of learning! All with other parents and kids who are homeschooling! I thought that this was EXACTLY what we needed. Homeschool support for me, friend possiblities and academic opportunities for Cannon. I was a bit nervous but so ridiculously excited to go to the information meeting…..I just can’t even tell you. I sat through the meeting about to burst……filling out the paperwork while she was talking and even writing the check for the dues. I decided to touch base with the president before turning in everything to the secretary. To say hello and just so that she would be aware of our “special” situation. There had been one area covered in the meeting that would be a challenge and I wanted to briefly talk with her about it. It was behavior related. The paperwork included contracts for both the parent and child to sign. The parent’s dealt with how we would discipline our children if they got out of hand during an event. Very basic things like removing them if they got too disruptive. And the child’s contract was just basically stating how they would and wouldn’t act during events. Everything was perfectly logical and not overbearing at all. But Cannon’s sensory issues are completely unpredictable and not always controllable for him. SO, I just wanted to quickly tap on that subject with her. I was just going to tell her that there might be a few bumps in the road at the beginning but I would be with him every second and really thought we could smooth things out over time. So, I walked up to her after the meeting and asked if I could speak with her privately for a moment. I, quickly, told her a little about Cannon. How great he is, some of the amazing things that he can do, and about his medical and developmental issues. Then, I mentioned the contract and that I was fine with him signing it but that I just wanted to be sure she was okay with the fact that he might need some time to adjust to the environment and that his behavior wasn’t always behavior. It is most often a physical reaction to a severe sensory overload. I really felt as if I was walking a thin line. Being fair to Cannon and not making him out to sound more challenged than he is but also being honest and explaining the intensity of those challenges. I 100% expected to be welcomed with open arms, understanding, and compassion. I hoped to experience love from my sister in Christ towards myself and my child. I just knew that I would hear words that I often hear now that Autism is becoming more understood. That he has so much to offer and not just academically. The he can help teach the neuro-typical kids about empathy, as well as the amazing abilities and uniquenesses of kids with special needs. I just had such high hopes. BUT…..the conversation took a turn that I did not see coming. At all. And again, I want to say that I do not think this woman is not nice or that she is any less of a Christian because of what happened next. Please understand that. This woman was very pregnant with a 5th or 6th child. I can’t remember which. She is homeschooling all her kids and was starting this association as well as being a part of other things. She has a lot on her. And the first reaction/comment she made was “I just don’t know. I need this to be easy.” I felt like she decked me. Like completely, full force, laid me out. It was just not what I was expecting. After that, I was just in such a state of shock. I remember her telling me that many of the parents that had joined the association had removed their kids from public schools due to exposure to kids with behavior problems. And she needed this to be easy and didn’t want to knowingly allow a child in that had “behavior problems.” She just kept saying “I just don’t know. I need this to be easy.” She teared up and was so sorry. I felt that. For absolute certain. And I understood to some extent. She said a prayer for me and asked me if I had other means of support. She was very nice but I knew that even though she was saying she didn’t know……the door was closed. This was not something that was going to work out. I mentioned that I had hoped to try it out but was met with no change in response. Just a sad, sorry face looking back at me. Now, if you have been reading this blog you might have noticed that I can usually pull it together when I need to. I am emotional but I can put that on the shelf until I have time to deal with it. But sitting there……hearing these words…..I just knew I was going to erupt in a sea of tears. I had to get out of there. Fast. So, I gave her a hug. Thanked her for allowing me to be there and left. Practically running to my car. I am not sure I was off her front steps before that eruption happened. And it was as bad as I ever remember losing it. I don’t know why…..that bad…..this day. But it was what it was. And I did. I pulled away in my car as quickly as I could. Crying so hard that I was heaving. A few miles down the road, I had to pull over. It was not pretty. I guess what truly got my heart the most was this……. If a Christian homeschool group does not have a place for us…….where is Cannon’s place in this world? He can’t go to school, per doctor’s orders. He has to be home schooled. This severely limits our friend opportunities. We live a great distance from our church so we don’t really have the chance to play with any of those kids except for church days. Our neighborhood has no kids his age or close. And we haven’t (maybe just not yet) made a strong connection with any of the special needs kids his age. It’s hard. And I cannot tell you how bad this night hurt my heart. It was truly awful. Unintentional but unavoidable in their eyes. Why do I tell this story? Well, I can’t completely answer that. Like I said before, I feel that it is an act of obedience. I, also, promised when I started this blog that I would be open and honest about my experiences, emotions, and faith throughout our Autism journey. So, I am trying to stay true to that. As previously stated a couple of times, I do not harbor any ill feelings towards this woman or her organization. She even attempted, through others, after the meeting to let me know about local resources for special needs families. Her group was simply not the right place for us. Not in God’s plan I guess. Even though it may have seemed like a good fit at the time. And I have accepted this. Is it a bummmer? SURE! Was I devastated and disappointed? Absolutely. I am forever in search of a way to draw Cannon out of his world into ours. And I can’t necessarily accomplish this focusing all our time in the special needs community. We just wanted a chance. 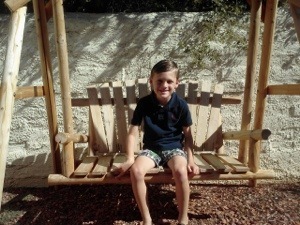 One opportunity for Cannon to try to step out from under the special needs umbrella……and encounter the vast, scary world around him through one of very few areas where he finds comfort. I let myself cry about this for a couple of days. To get it all out. It, thankfully, has been a while since I have been met with any kind of “prejudice.” (And please take that word the way it is intended.) And during that time, I found this song. I played it over and over and OVER. Just crying and pleading the chorus to my Father. Begging Him to show me the way and how to best help my Cannon. My precious gift. He created him, placed him with us, gave him the challenges he has, never left our side through some of our worst days, and I, of course, knew that he would not abandon us now. I just needed direction. I was still struggling mightily with which curriculum to purchase….which of so very many teaching methods and courses of study to go with. And now THIS. I have such a HUGE responsibility with this child. I am his whole world. His mother, his academic teacher, his Bible teacher, his nurse….etc. I just needed direction. It took time. I eventually chose my curriculum and felt really good about it. We got started in our other activities. And found ways to help Cannon be successful in those. A woman I met in the community reached out and offered a play/activity driven date periodically with her son who has sensory issues and Tourette’s Syndrome. And we may try that out in the near future. I admit to sitting on that offer temporarily due to just the craziness of starting a new school year, settling into a routine, and because Cannon hasn’t been feeling well (tummy wise) lately. (New labs and tests to be done on that front soon.) I appreciated the invite. And I now see the homeschool association’s rejection as an opportunity for growth in my relationship with my God. I have accepted this painful experience as another opportunity to cling to the Father. To trust Him. That He knows what’s best and apparently that wasn’t it. Allowing these words to be my guide. Those sent to me by a friend from Proverbs 31 Ministries……. HE IS SO GOOD! And, therefore, so am I. Now….PLEASE…..go listen to this song! Let it inspire you and touch your heart…..especially if this is a time where you are searching for direction. Much love blog family! Cannon and I officially began our homeschool year in mid September! He is now a big 1st grader! I spent A LOT of time trying to decide which curriculum to purchase this year. I liked the one we used last year. I really did. It was called My Father’s World and was really sweet and perfect for our first year at home together. As we tried to figure out how or if this whole thing would work. It had a simple flow to each day and there was good balance between what came easy for Cannon and what did not. I looked at purchasing the same curriculum again but felt it was time to really challenge Cannon. I had had my eye on a particular curriculum that I absolutely adored for a while but it was pricey. Really pricey. So, I looked and looked at every other option out there. My mom helped, too. And we just kept coming back to Sonlight. I just LOVED their 5 core values….. So, I decided to bite the bullet and purchase it. It had a money back guarantee and I just wanted to get it and see if it was all that. When it arrived, in 2 gi-normous boxes…..it was like Christmas! I couldn’t believe how much was there and how impressive it all was. The quality of the materials was insane! My husband looked it all over and never even asked what it cost! He was that impressed! And he is the cheapest man alive I assure you! We ordered many supplemental books and materials but here is the main package we purchased. Have a look for yourself…….. The last year that Cannon was in public school, he had a teacher who really got him, accommodated him, and cared for him. And she really fought for him, too. It was great! BUT, the powers that be did not get him at all. An actual quote from one of our last meetings was this……”Cannon will never handle an academic program.” It is one of my most sincere goals in life to make sure that that statement does not come to pass. I have never, and am not convinced that I will ever see ANY validity whatsoever in that statement. He will not be easy to teach right now. And it is quite possible that he never will be. BUT, HE IS TEACHABLE! For goodness sakes, this kiddo taught himself his letters at 18 months and was reading and counting to 100 by 2. I think there is a foundation and hunger for academics there! I am no longer angry at them for not digging deep enough or trying hard enough to understand Cannon and determine his potential. I just shake my head and feel sorry for them. Because now they will not get the chance to see Cannon grow and grow immeasurably more than they can imagine. And I would think that is why one gets into the field of education. But the saddest part of that statement they made to us is what it could have done to us as parents. 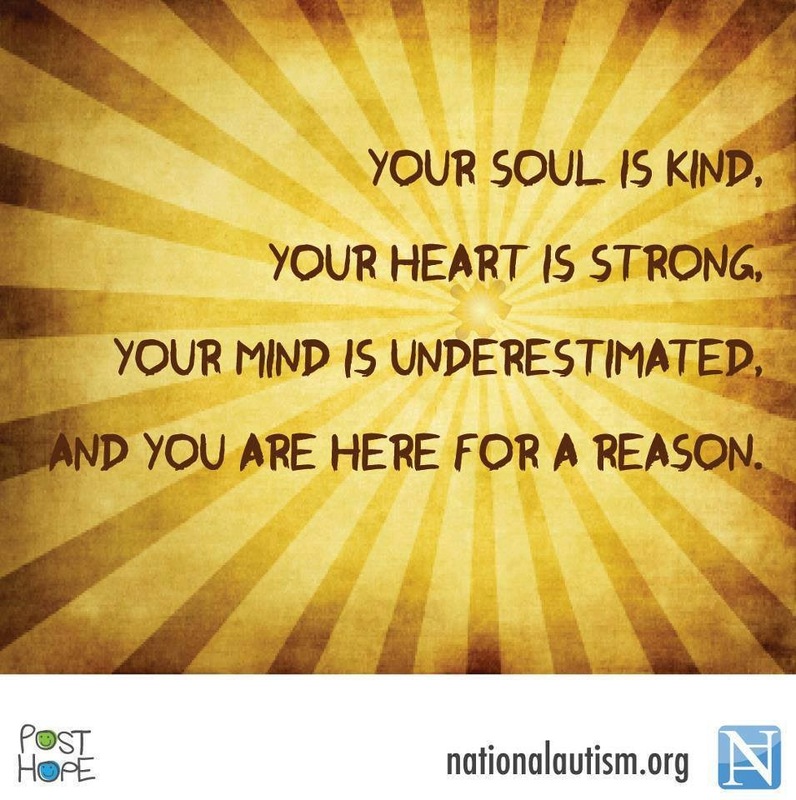 Hope is a necessity in special needs parenting! And to dash the hopes of the parents of a 5 year old, is a travesty! I refuse to have my hopes dashed! And I know WITH ALL MY HEART that Cannon will make his mark on the world! That he has so so very much to offer. And that if there is a way to engage my child and encourage him to be social…..it is through academics. And because I understand that, I know that I am the right teacher for Cannon. 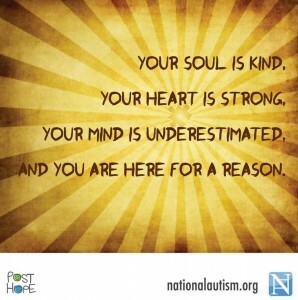 And it is with that very passion and fire…..we headed into this school year! Expecting great things and KNOWING beyond the shadow of a doubt that they are coming! God bless and thanks so much for following our journey y’all! One last thing. A great poem I found. Every time I read it…..my hearts melts and I shed a tear or two. I love my boy so much! And I know he loves us, too! Dear Mommy, don’t you cry now and Daddy don’t you weep. I want to whisper in your ear before I go to sleep. and you were so proud Daddy when you held me on that day. I felt as if I belonged here, and everything was right. I saw your face dear Mommy as you knelt by me to pray. or watch the other little boys as they run and laugh and cheer. or even show you how I feel and what I really know. I hear your dear heart beating and I know that all is well. I know that you still love though the words I cannot say. I want to tell you something before I go to sleep. I may be sort of different, and you may not understand. I know that I am not that child that you and Daddy planned. and one day when this life is done you will feel my love for you. the ones that love and listen and take good care of me. but one day we will turn and laugh as we look back o’er the years. I want to say, I love you.